Happy Labor Day to the hard-working laborers, administrators, emergency and health care professionals, educators, and everyone who works hard to make a living. Labor Day is the perfect time to think of ways to use our Santa Barbara limousine service to help improve your business. You might think of Sammy’s Limos and Tours when you need party busses for weddings and bachelor/bachelorette parties, or a Santa Barbara limo for sporting events, Santa Barbara sightseeing tours, or Santa Barbara wine tours. But have you ever thought of how we can be a valued business asset, too? We have provided Santa Barbara limo services since 1992, and know that business customers like to use every minute efficiently. They can’t waste valuable time getting to a parking lot, dealing with traffic, or finding a place to park at the airport. Airport parking: Airport parking, especially at LAX, can be a nightmare. Parking rates can add up, or you have to find someone who can drive you at the exact time your flight is scheduled. You have to struggle to get luggage in and out of the car. With Sammy’s, we offer baggage assistance and our professional chauffeur will be waiting for you when you arrive. Supply us with your flight information and we will make frequent checks with the airlines to ensure you are picked up or dropped off on time. Group travel can be a costly business expense: If you are taking a number of employees to a business meeting or conference, your company might get hit with some hefty travel reimbursement expenses. Instead, have everyone park in the company’s lot, and let Sammy’s provide a four passenger luxury sedan, six passenger executive SUV, or larger van for everyone’s convenience. Be sure to keep our top-of-the-line Santa Barbara luxury limos in mind for your shuttle from LAX to Santa Barbara and all your business transportation needs. About Sammy’s Limos: Friendly and knowledgeable chauffeurs staff the Sammy’s Limos and Tours’ fleet of limos and party busses. Whether you need a limo for Father’s Day, bachelor/bachelorette party and wedding limos, Santa Barbara airport transfers, limo service to LAX or Santa Barbara wine tours, you’ll ride in comfort and style. Visit the website at https://www.sammyslimos.com to view the limousine fleet. “Like” the Facebook page to get updates on things to do in Santa Barbara. Call (805) 965-4800 for a limo reservation. Celebrate 4th of July in Santa Barbara with Sammy’s Limos! 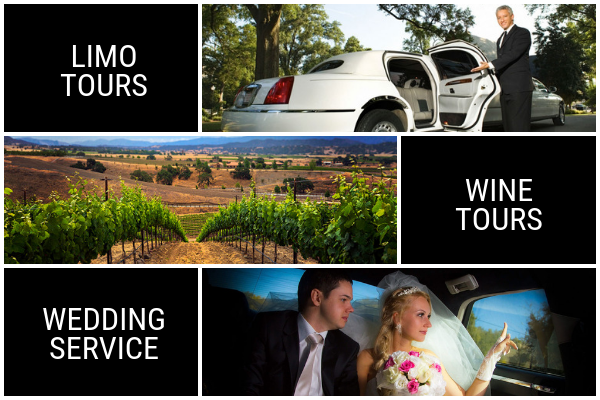 Sammy’s Limousines and Tours offers the finest in luxury with our top notch fleet as well as providing you with drivers that are knowledgeable wine tour guides. Get your reservations today and join us on our wine tours of Santa Barbara and the surrounding areas.